PE0259. 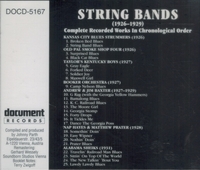 String Bands, incl. 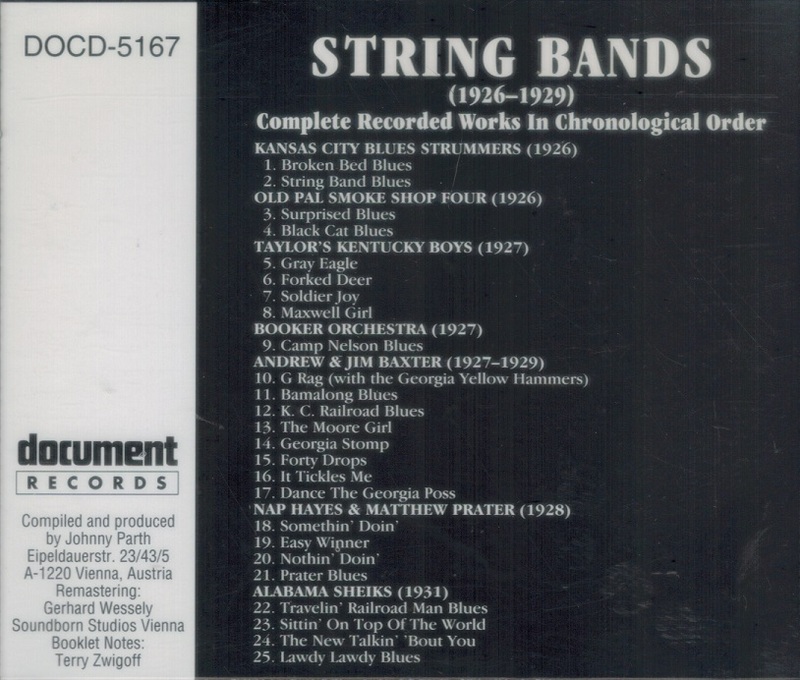 Alabama Sheiks, Andrew and Jim Baxter, Booker Orchestra, Nap Hayes and Matthew Prater, Kansas City Blues Strummers, Old Pal Smoke Shop Four & Taylor`s Kentucky Boys. 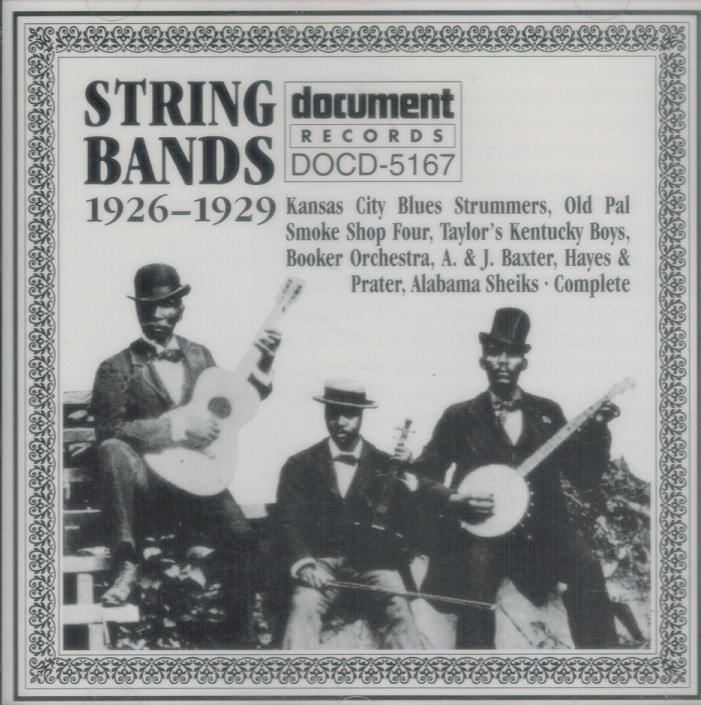 (Austria) Document DOCD-5167, recorded 1926-29. Final copy!